Hi, Susan here for the first time on the blog!!! 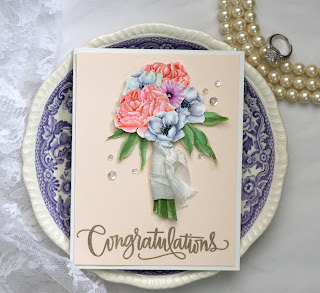 For this card I used Jennifer McGuire's genius technique to make a lacy card front using our Peony Bouquet stamp set. This stamp set is packed full of gorgeous blossoms, buds and leaves and lends itself easily to this technique. For ink, I used W Plus 9's Limelight and Falling for Blue. I applied Limelight using our Life Changing Blender Brushes - they are amazing!!!!! I have included a You Tube video tutorial. I have a quick card today using Picket Fence Stamps Flying By to Say Hi and On the Ocean. I used one of the ocean borders to make the swirling clouds. I colored the fairy with Copics. I used YR04, YR18 and E09 for the body. The face was colored with E000, E00, E11, and E04 with R20 for the cute cheeks. The green leaves are simply YG11, YG13 and YG17. The yellow leaves are Y11, Y15, and YR24. The brown leaves are the same color as the body. 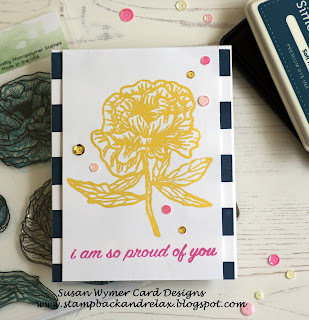 I heat embossed the sentiment with Ranger Fine Detail White embossing powder. 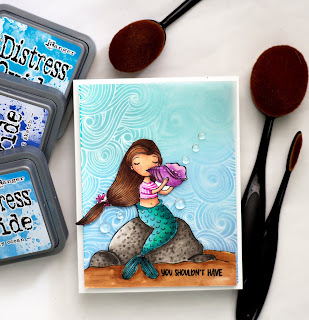 For the blended back ground I used Simon Says Stamp Audrey Blue with the second largest blender brush. I then overstamped the blended area with more Audrey Blue. Oh and this is a 4 Bar card - dimensions are 3 1/2 by 4 7/8 which is the perfect size for this little fairy. I used a regular A2 envelope to mail cards this size and have not had a problem. Thanks for stopping by! I will be back with more cards this week! I have included links. I am using affiliate links at no further cost to you. 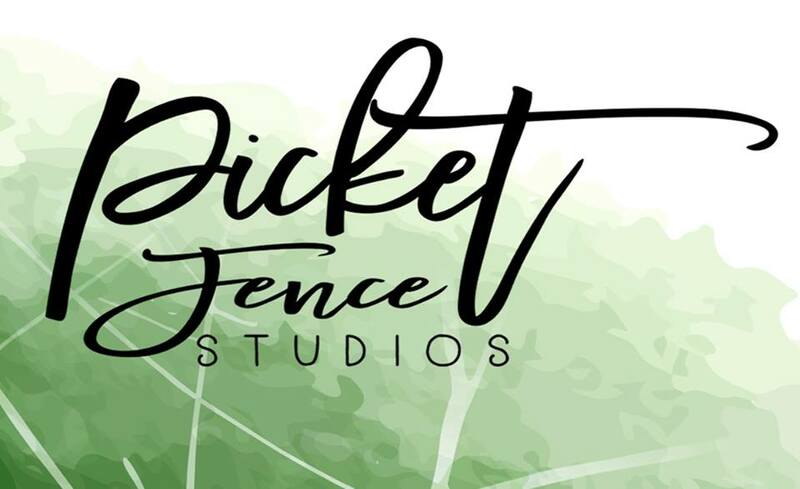 I finally got my first of many cards made for the new Picket Fence Studio Design Team. I am thrilled to be a member of the team. PF Studio stamps are high quality photo polymer and are super cute. 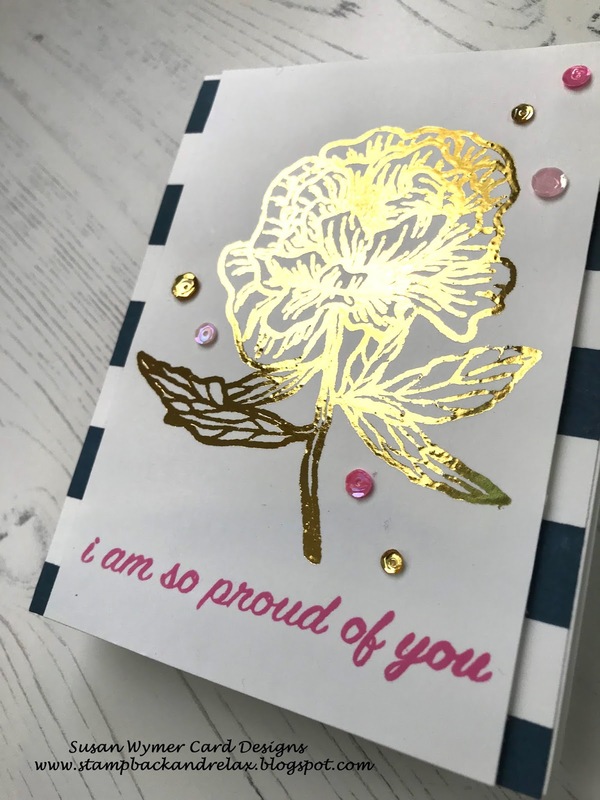 For my first card, I am using the Peony Bouquet set and So Proud of You. I decided to pull my laminator out of its box, I have had it for a year,.........and use it for this very preppy card! I have linked below to a video tutorial at my You Tube channel. Let me know if you have any questions! Thank you for stopping by my blog. Have a great day crafting and haul out an unused supply lol. You might have fun like I did! Products Used: I am using compensated affiliate links at no further cost to you. Thank you! It is time for another blog hop. 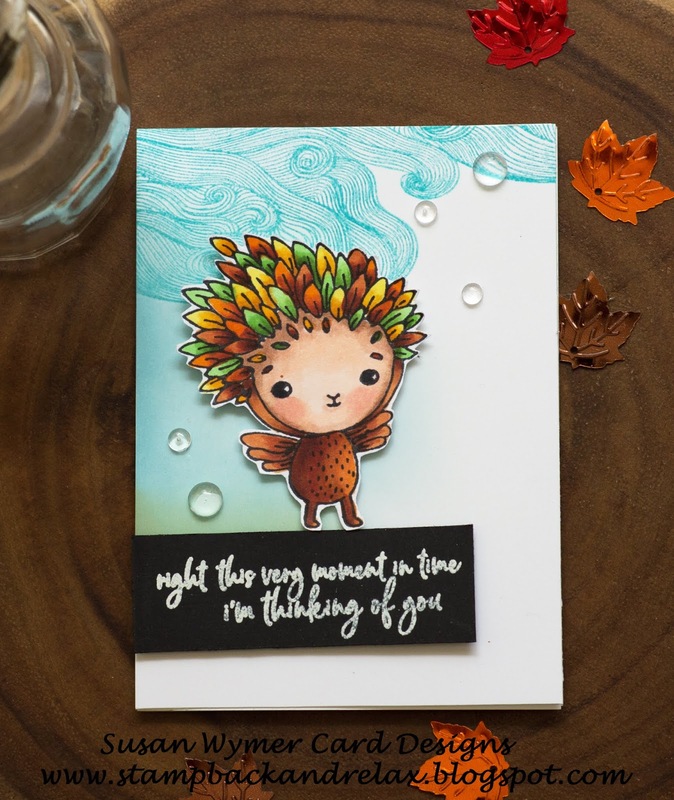 Today we are pairing up with So Suzy Stamps. 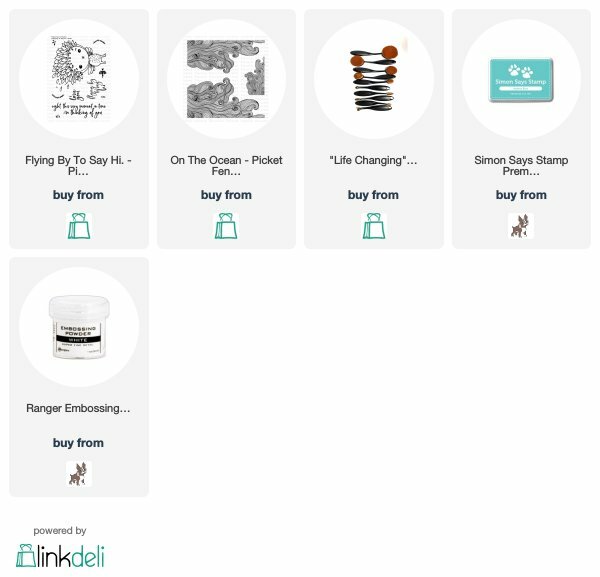 I selected several ocean based mounted rubber stamps. I forgot how wonderful it is to stamp with deeply etched rubber. 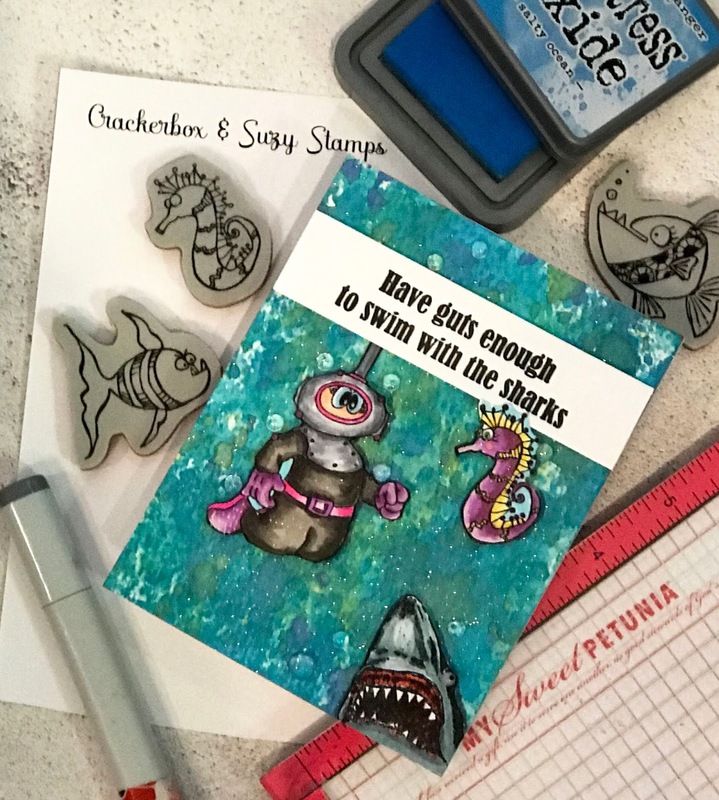 I "designed" my card in my head during Shark Week but I never made it until yesterday. This meant 3 revisions LOL!!! I used Lloyd the Diver, Trigger the Sea Horse and Jaws to make this card. The background is ink smooshing using Distress Oxides. 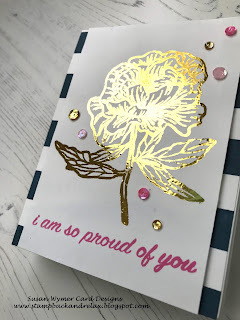 I have a video tutorial about how I made and then unmade and then made my card......and a big blooper! As for the hop, there are prizes for two winners. One will receive a $50 gift certificate to So Suzy Stamps and the other winner will receive a $50 gift certificate to My Sweet Petunia! Comments must be left prior to 11:59PM CST on August 24th. 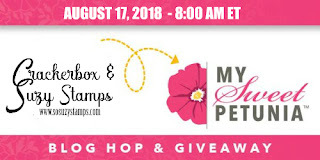 The winner of the So Suzy gift certificate will be announced on the So Suzy blog on August 31st and the winner of the My Sweet Petunia gift certificate will be announced Tuesday, August 28th. Next on the hop is Lindsay Adreon from So Suzy!!! I cannot wait to see what she does! Supplies Used: Compensated affiliate are being used at no further cost to you. Thank you! It is my turn today on the MSP blog. I got out my Misti and made this cute card using Honey Bee Mermaid Song and Ocean Borders. I used a new tool - the fabulous new Life Changing Blender Brushes to create the background. W Plus 9 florals and went a stamping lol. For the Copic coloring I followed a tutorial on You Tube on the W Plus 9 channel that Dawn Woleslage made about using Copics to color Modern Anemones and Leaves. 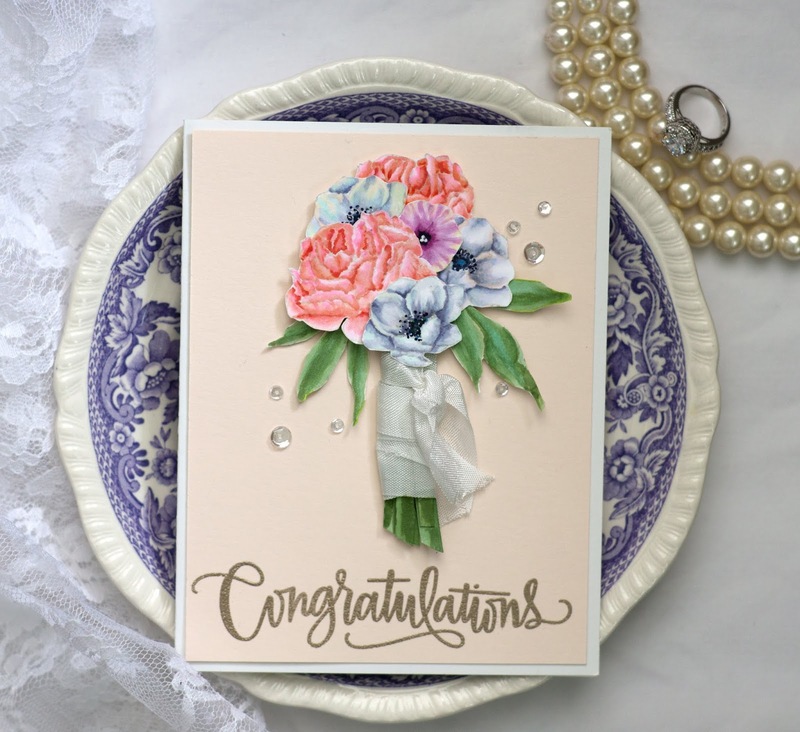 I stamped the Congratulations with Versamark and heat embossed using Ranger Liquid Platinum embossing powder. I made some stems and wrapped them in Hug Snug Vintage Seam Binding and proceeded to assemble the bouquet. 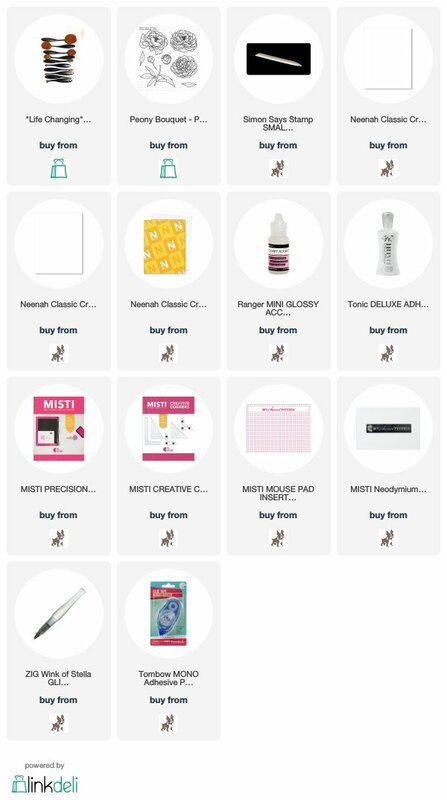 List of supplies: I am using affiliate links from which I get a small commission at no further cost to you. Thank you!